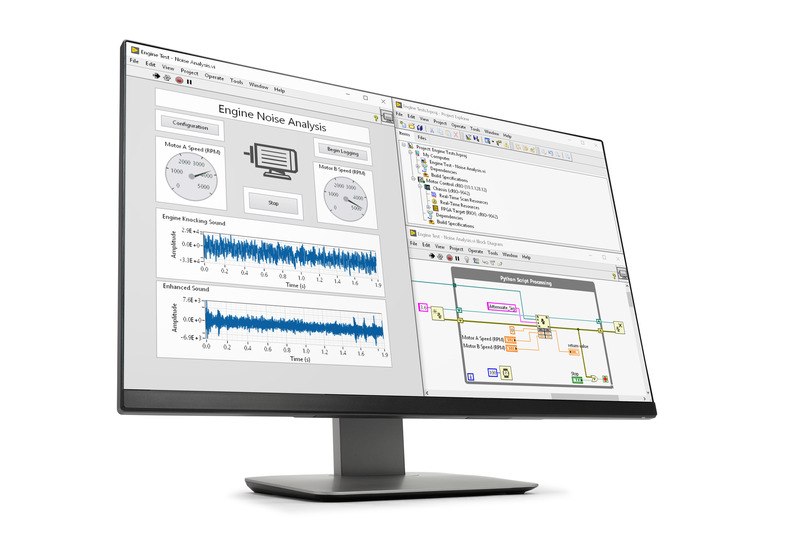 The complete lab manual is designed to teach signals and systems concepts with LabVIEW graphical programming and the NI ELVIS platform, including spectrum analysis, time domain analysis, sampling and aliasing, analog-digital conversion, and discrete-time filters. 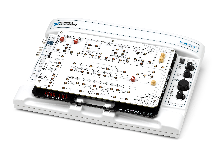 The manual enables students to patch together continuous time and discrete-time systems in real hardware for circuit theory, digital signal processing and signals and system courses. 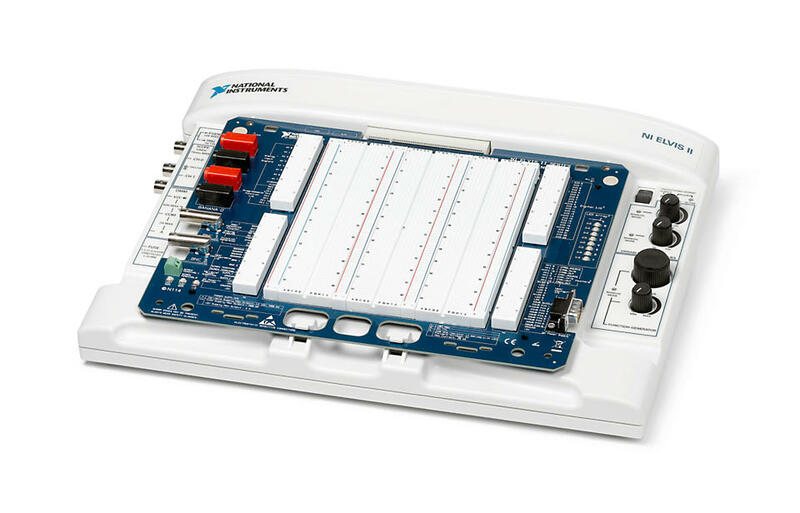 It can be used to teach topics such as convolution, integration, and perform time domain analysis, sampling and aliasing as well as explore poles and zeros with Infinite impulse response (IIR) systems. The EMONA SIGEx board and comprehensive Lab Manual closely follow the typical curriculum encountered by engineering students and is based on leading textbooks on this topic. 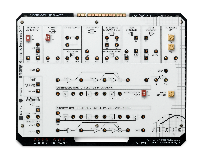 Access to the complete volume of the Emona SIGEx add-on board lab manual is provided upon purchase of the product. Students are introduced to the SIGEx soft front panel and ELVISmx instruments used in the experiments. For this experiment students will familiarize themselves with the various instruments available on the SIGEx board and how they are used. Students investigate how signals are distorted when a system's response is affected by inertia, and discover signals that are useful for probing a system's behavior. The lab also introduces how these systems respond to sine wave inputs. Finally, students are guided in creating clipped signals. Students discover the special role of sinusoids in linear systems and apply linearity tests to various systems. Students carry out a step-by-step dissection of the convolution process in a discrete-time system. Students investigate the processes of integration, convolution, correlation, and "matched filters". Students see these processes in action with real signals in the time domain and learn their use in practical applications. Students learn the fundamentals of complex numbers and the exponential and their significance in signals analysis. Students compose arbitrary periodic signals from a series of sine and cosine waves, confirm the Fourier series equation, compute Fourier coefficients of a waveform, and build a Fourier Series analyzer. 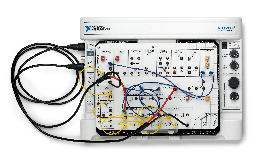 Students use a spectrum analyzer to observe real signals in the frequency domain, and discover important relationships between time and frequency domain characteristics of various classes of signals. Students will analyze the RC circuit using steps, impulses, exponential pulses, and sinusoids to compare theory and practical results. Students then will synthesize and test an RC network using a 1st order feedback structure. Students discover how poles and zeros can be used to visualize frequency responses graphically at a glance, in a minimal-math zone. Students will be able to use this knowledge to intuitively design low order continuous-time responses. Students explore the relationship between sampling rates and aliasing to gain an intuitive understanding of sampling theorems and best practices for minimum sampling rates. Students experiment with the analog to digital conversion using pulse code modulation, learning the decoding process, quantization issues, and reconstruction of the output signal. Students relate the response of a discrete-time FIR filter to its transfer function, and use the zeros of the transfer function to visualize frequency responses graphically. Students use this knowledge to intuitively design low order discrete-time responses. Students design recursive/IIR discrete-time responses. Students gain an understanding of the importance of sensitivity and dynamic range issues that arise in the practical implementation of discrete-time filters, as well as explore the issues relating to optimal sampling rate selection. 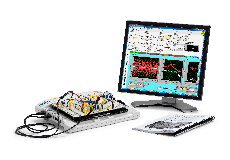 The Emona SIGEx Add-on Board is a plug and play board designed for the NI ELVIS platform that enables students to learn signals and systems in a hands-on approach.